This is my first question since joining really. Got my 2011 800 the other week, already added a few bits to it. Hand guards, I can't believe how confusing a simple item can be. It seems the fitment differs by year/model. I spoken to three dealers each of whom have given me different info' for my year bike. So......which freakin hand guards fit a 2011/800? Any one got any on their 2011/800? Any pics? : Ive got Barkbuster Storm handguards on mine. Ally frame with black plastic covers. Don't have any experience of how effective they are at protecting from impact, as I've never taken the bike off road. They don't provide more than a little wind protection though. 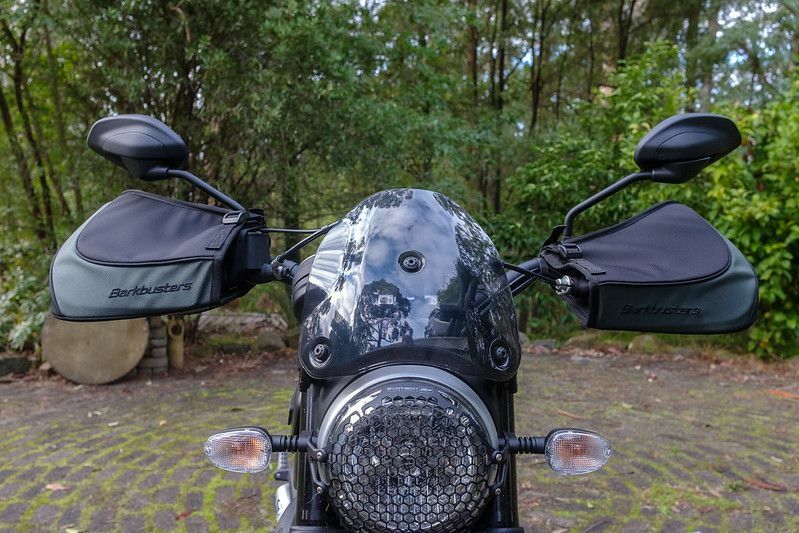 Triumph changed the shape of the OEM hand guards for the 2015 model year. The 2011-2014 guards are squarer in relation to the direction the bike travels and were part of the cause of buffeting many experienced with earlier bikes. The 2015-2017 guards are more angled so they direct air rather than straight over the guard more towards the outside of the bike and therefore away from the riders arms shoulders and head. 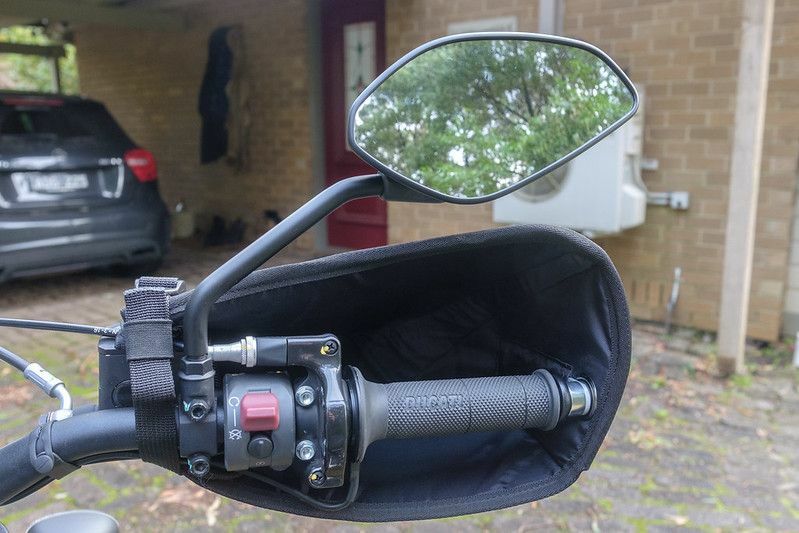 The only physical difference in the handle bar arrangement between the 2011-2014 and 2015-2017 models was the inclusion of the switch sensor on the clutch on the later bikes as part of the cruise control mechanism and a slightly different switch block on the right side. Any 2011-2014 part number will definitely work if you have standard handlebars and switches. I would expect that 2015-2017 guards will most likely also work but can't guarantee it. Even if the 2015-2017 guards don't fit they should only require a minor mod to make them work and they are made of plastic anyway so that should not be hard. Personally I would go with the later guards as they are much better from an air flow point of view. If it is all too hard buy BarkBusters. The Barkbuster Blizzard fittings make them a much much better winter riding option anyway. Check this page on World of Triumph for the hand guard kit for your bike. Any competent parts person in a dealership should have been able to give you this info in about 2 seconds. I've got the Barkbuster Blizzards on mine, they are held on with straps and a screw in the bar end, as such will fit any bike. They are great for winter cold protection but offer zero crash protection. It depends what you want from the hand guards. Anyway, I've seen all these guards online, gotta be honest I never liked the barkbusters. I just want guards for wind/rain protection, not for going into battle with. I like the bigger/later Triumph ones which I assumed wrongly were the early ones and the more 'streamlined' ones were a later improved version. I'll get the bigger/later ones. I've never seen any close up pics of how any of them fit at the inside of the bars but I can do any mods required. No. The last time I worked in a motorcycle shop was an after school job in 1973. I just want guards for wind/rain protection, not for going into battle with. I've never seen any close up pics of how any of them fit at the inside of the bars but I can do any mods required. 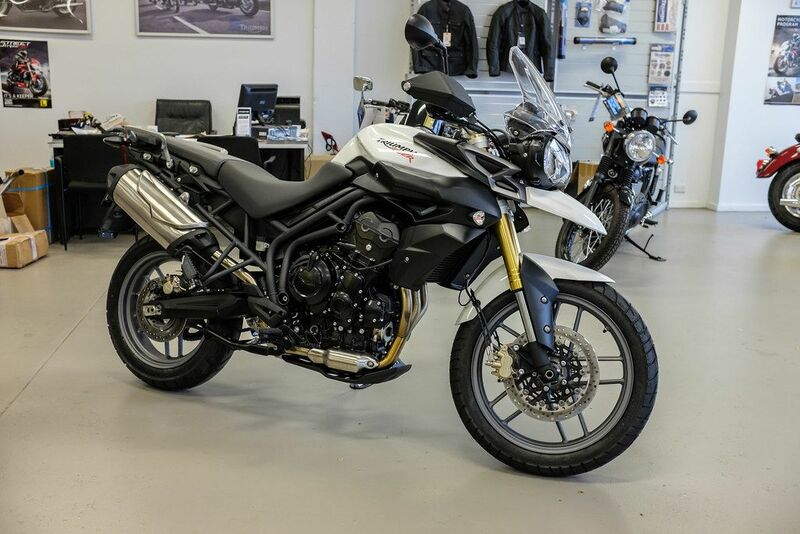 The Barkbuster Blizzards are way better for weather protection than the Triumph hand guards. As mentioned above the screw to the bar end weight and mount with straps. If you have the BarkBuster alloy frame they mount over that so you get both weather and crash protection. Here are pics of Blizzards on our Scrambler. The other advantage of the Blizzards is that they are bike independant so they can be moved from bike to bike. I am going to try them on my Tiger this coming winter. I know a guy who has used his on his last three bikes. You can see in this pic that your hands go inside the Blizzards not behind them. 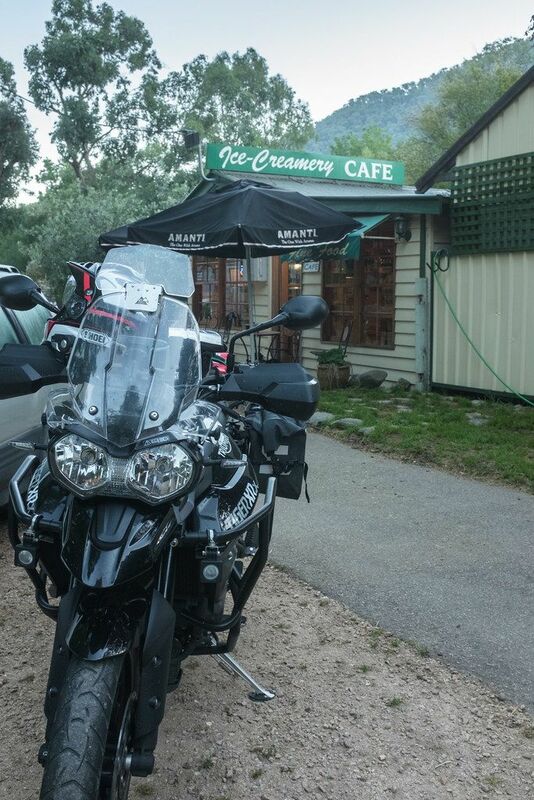 They provide much more weather protection and also better heat retention if you have heated grips. The OEM plastic guards screw to the bar end weight and also use the clutch and brake pivot bolt or a small bracket depending on which model you get. Those exploded parts views on World of Triumph I linked to above will show you how they mount if you have a good look at them. I can see that they would provide great protection but the standard type of hand guards are quite sufficient for my needs. I've ordered the later ones, sure they'll be fine.